Sage CRM is a web-based CRM solution that is extremely user friendly and ideal for small to mid-sized businesses. The implementation of Sage CRM can be done quickly, whether it is on-premise or in the cloud, and has many features and offers a broad range of functionality. Sage CRM belongs to the Sage 200 Suite and offers integration between the front and back office, giving you complete visibility across the organization. Get a better understanding of your customers- with all of your customer data held in one location you can see the full history of interactions between your customers and prospects which allows you to target prospects and build strong relationships with your customers. Share data- Sage CRM can be utilized to be the whole business making sure relevant information is shared with the correct people, speeding up work flows and reducing the amount of errors. Quick and Easy Deployment- You can have your CRM up and running in a matter of days with Sage CRM, give you a quick return on investment. Integration with Outlook- One of the most important benefits of using Sage CRM is the complete, two-way synchronization with Microsoft Outlook. You have the option to utilize your entire Sage CRM system from within the Microsoft Outlook interface. This comprehensive integration allows you to synchronize data in your CRM with mobile devices such as phones, tablets and other devices that synchronize with Outlook. 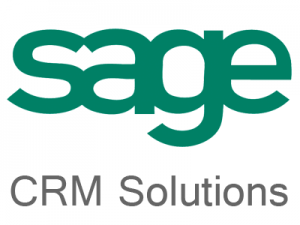 Training and Support- Sage CRM provides you with help and tips as well as video tutorials to make sure that you get the most from your Sage CRM solution. Equation Technologies offers award winning support for Sage CRM. Look and Feel customized by you - The all new Branding Toolkit allows you to select the colors and fonts of your user interface to match your business' image. Web and Wireless Access- Sage CRM can be accessed anytime anywhere. All you need is an internet connection. When your unable to connect to the web, you can take advantage of the replication solution for full offline access. Customization Tools- Easy to use customization tools let you modify many aspects of your system to suit your business and its processes. For answers to your questions, or more information on Sage CRM, please contact Equation Technologies today.